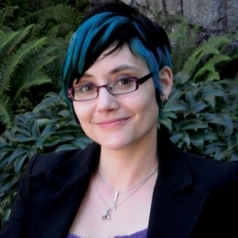 Jaigris Hodson’s research specializes in using computer-assisted discourse and content analysis of large multimodal online and digital texts. She has published research in a wide range of academic publications including the Canadian Journal of Communication, Cultural Studies, Critical Methodologies and Loading… Journal of the Canadian Game Studies Association. She has also published in non-academic publications such as The Evolllution and spoke at TEDX Victoria 2012. She is currently working on two Social Sciences and Humanities Research Council funded research projects. Which examine how people share information on social media and what the implications are of online sharing with respect to trolling and cyber bullying.